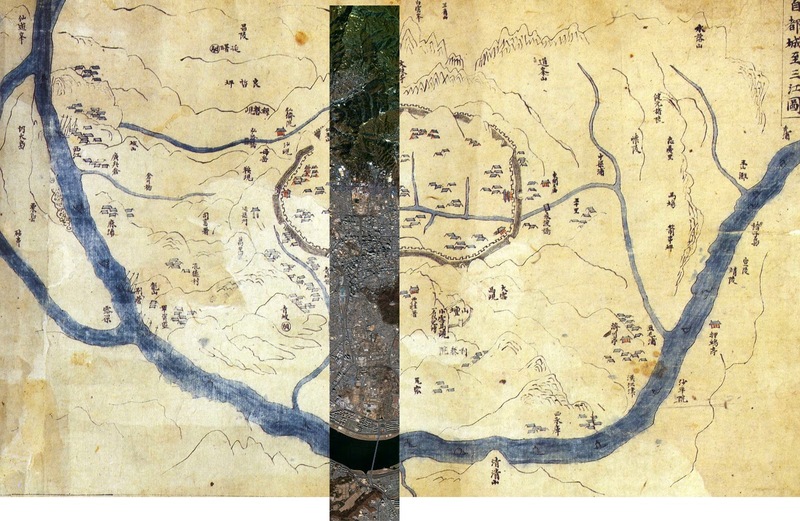 I spent a probably inordinate amount of time poring over ‘600 Years of Maps of Seoul’ – a hefty compilation of colour plates discovered by Victoria in the KNUA library. I wanted to get a sense of how the city had evolved; I hoped to uncover traces of its iterations as; the royal seat of an ‘hermit kingdom’, an unwilling protectorate, an ideological battleground, a modern metropolis. 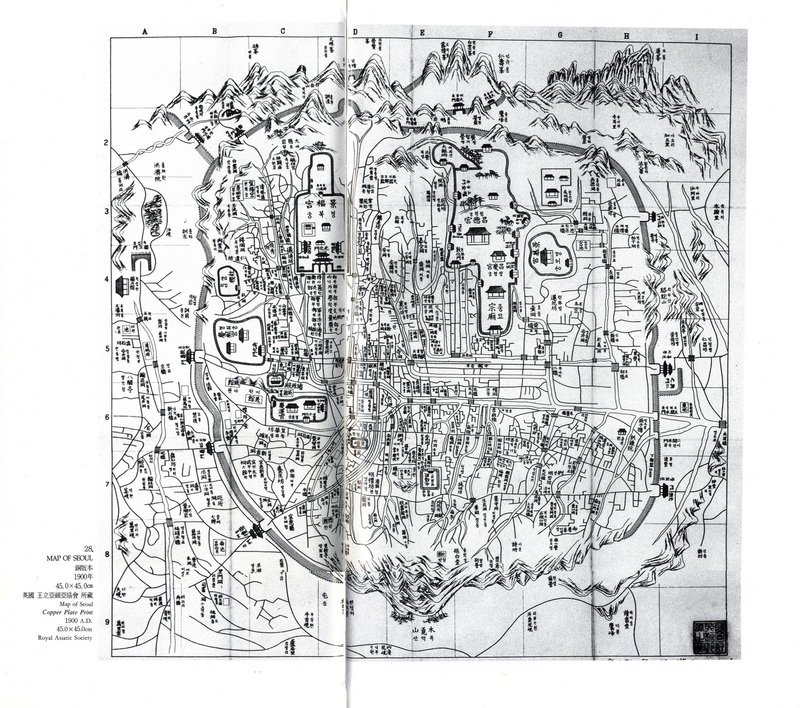 The earliest map in the book dates from 1750. 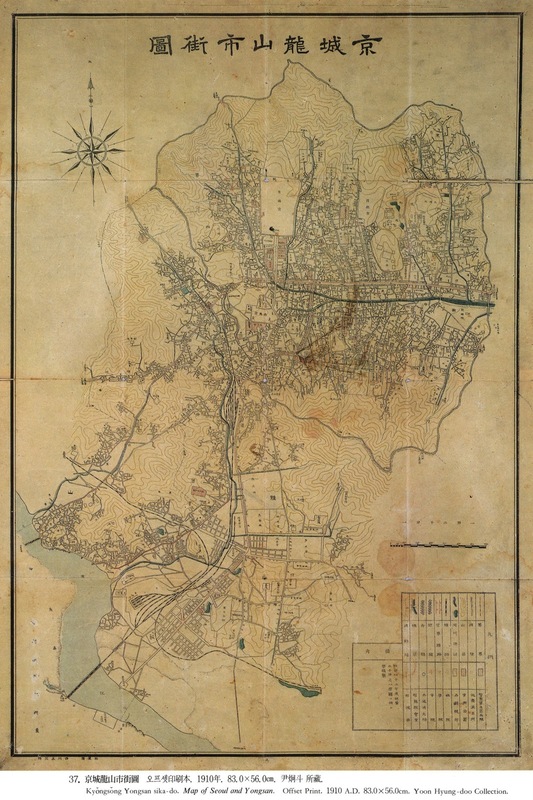 The city’s relationship with its geographic limit is accentuated in pre-colonial maps of the city, which retain a pictorial quality even up to 1900 and lack accurate scale or precision. 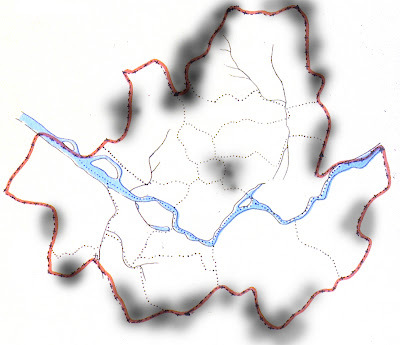 Japanese maps obliterate this emphasis early on; by 1910 the landscape is no longer an illustration, the mountains are expressed through meticulous contours. The map is precise, just as it should be. It is a clue about the complexity of the era in question; one that attempted to sever a nation from its traditions but also installed the infrastructure that enabled modernisation. Fantastic, succinct words, I love how expedient you are with them. . Empty cities, have you been to Belfast? EMERGENT CITIES is a record of research and design undertaken as part of my Postgraduate Studies in Architecture at London Metropolitan University. Beginning in Seoul and concluding in London, the thesis is an exploration through drawing that advocates a re-reading of city as landscape; where the space between objects forms an essential part of the narrative. The final site, the Moorfields Highwalk, is a melancholy relic of post-war architectural optimism. It is a found landscape that can be read at multiple scales. Inspired by the traditions of Korean architecture which obscure the boundary between solid and void, the thesis proposes cuts into the site that encourage its re-reading and re-use, respond to the complex topographies and open the highwalk to its immediate context.